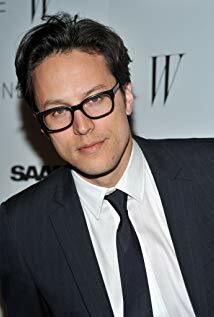 Cary Joji Fukunaga, the director of Bond 25, gave an interview to IndieWire where he discussed James Bond in general terms. Naturally, 007 fans are going over it. But it’s best not to read too much into it. Among other things, Fukunaga says the first Bond film he saw was 1985’s A View To a Kill. He also says you can’t pick one favorite 007 film. For some context: Sam Mendes, director of Skyfall and SPECTRE, said that the first Bond film he saw was 1973’s Live And Let Die. Of course, neither of Mendes’ 007 outings (Skyfall and SPECTRE) was remotely like the escapist tone of Live And Let Die (featuring the villain dying when he’s blown up like a balloon). Mendes (b. 1965) would have been just shy of 8 years old when Live And Let Die came out. For that matter, Fukunaga (b. 1977) was not quite 8 years old when A View To a Kill debuted. A Mr. Obvious observation: One’s perspective changes from childhood to adulthood. Childhood memories often mean a lot but that doesn’t mean you’re ruled by them as an adult. At this stage, Bond fans hunger for anything about Bond 25. It’s understandable that the director’ interview would get attention. Still, it’s best not to read too much into it. That’s intriguing, but not unique. Marvel Studios, for example, doesn’t just copy the original comics. The first Marvel Studios film, 2008’s Iron Man, moved the origin story from Vietnam (in the first 1963 comic book story) to the Middle East. Also, the Marvel films pick and choose from decades of comics stories.